SHARON MAHARAJ, Broker, ABR®, SRES®, CRP®, I.R.E.S. "We're here for women who mean business." Most women go shopping for themselves. But Gail Friedlander isn't most women. 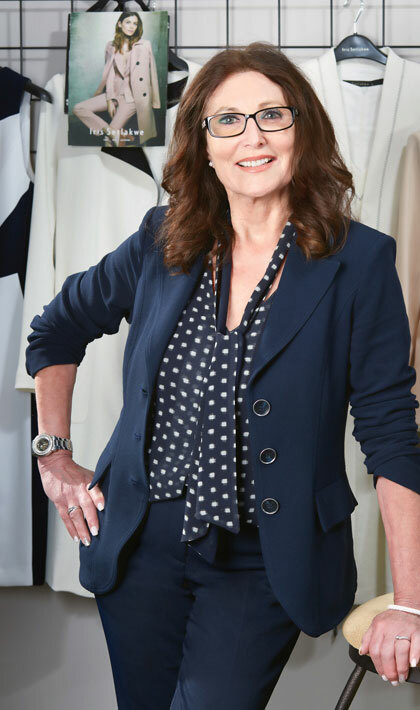 "I'm buying for women who mean business," Gail says of her company, Images That Suit, a styling consultancy that creates professional and chic wardrobes for clients in Toronto and Mississauga. "When I buy, I buy for a woman who wants to be contemporary and wants good quality. She wants to do multiple looks with one piece. And she wants to be trendy, so I remaster seasonal trends for the real world so they're street wear." Working with Gail's staff "who make everyone feel like somebody," clients book private appointments where stylists help them choose looks, fits and styles in clothing, jewelry and shoes — for everything from business formal to casual Fridays. Clients keep returning because of the attention and service they get, but it's more than that. "We understand that fashion can boost a woman's confidence — and that affects how she carries herself and the impact she has on others."